The aim of this page is to make an attempt at identifying mystery photographs - if you have any idea's, please e-mail me - if you have a photograph that you want to feature here, please get in touch. 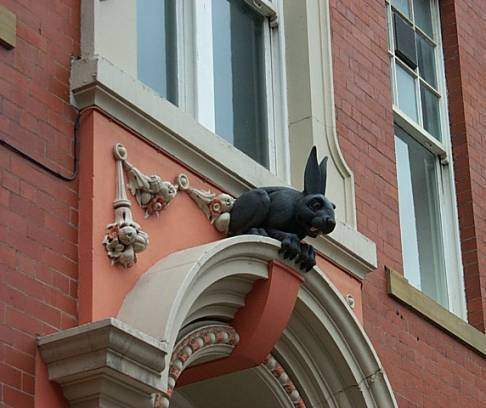 This strange looking beast site on the top of a decorative doorway into the rear of Cathedral Buildings (fronts onto Dean Street). The actual entrance is in Amen Corner at the rear of St Nicholas Cathedral. Does anyone know the history of the rabbit? 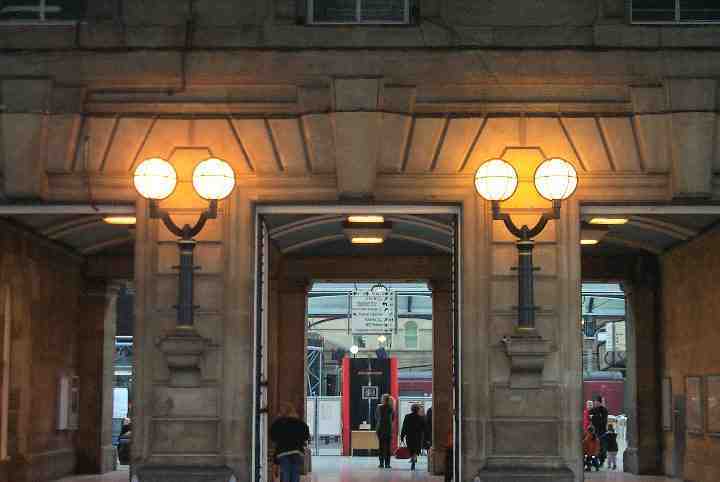 These newly intstalled lights within the Portico of Newcastle Central Station sit on what appear to be a pair of either fomer cannon barrells or train smoke stacks. Does anyone have any information on these items? 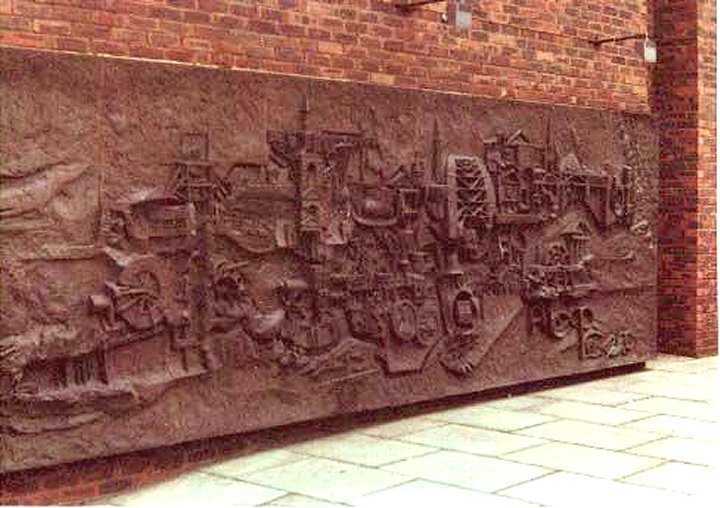 Taken in June 1981 this is a photograph of a bronze wall relief depicting Tyneside Industry. I reckon it was on the outside wall of Boots the Chemists in Eldon Square but it isn't there these days. Where is it now - anyone know, or indeed remember it? This is a photograph from Cliff Wellgreen in New Zealand. 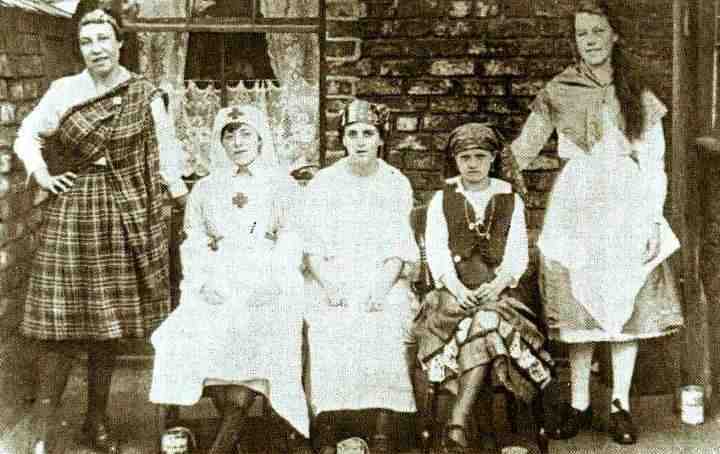 It was taken by Jas Dickinson 43 High St.West Wallsend on Tyne around the beginning of W.W.1 The Lady on the Right is his Mother.He is trying to identify the building and the occupations of those in the group. Anyone prepared to hazard a guess? Another one from Cliff Wellgreen - The scene appears to be in the back yard of an old terraced house. 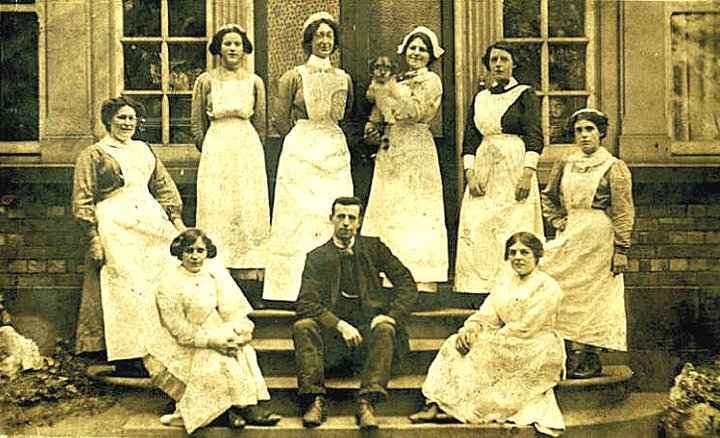 Cliff tells me that he "thinks" the picture was taken in 1912 and contains five ladies, all dressed in what appears to be "fancy dress". There is also evidence of collecting tins in the picture, thus they may have been collecting for charity.